I'm in training, so I should be coding about Angular 2, but I'll get to that. Day one wasn't particularly exciting (I learned more from the first part of the Pluralsight class). 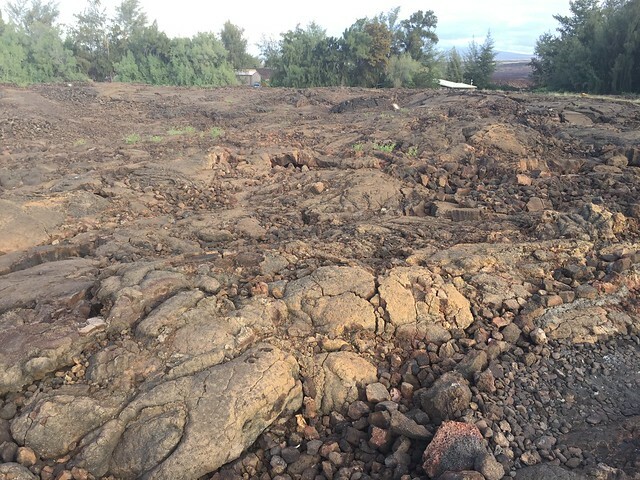 So these are still pictures from the Big Island. We spent one day snorkeling - I mentioned my family all cut up our feet looking at turtles and fish and brain coral in the shallows. My siblings took lots of pictures of their children, and fish, and turtles, and brain coral. I figure I can find those on line. 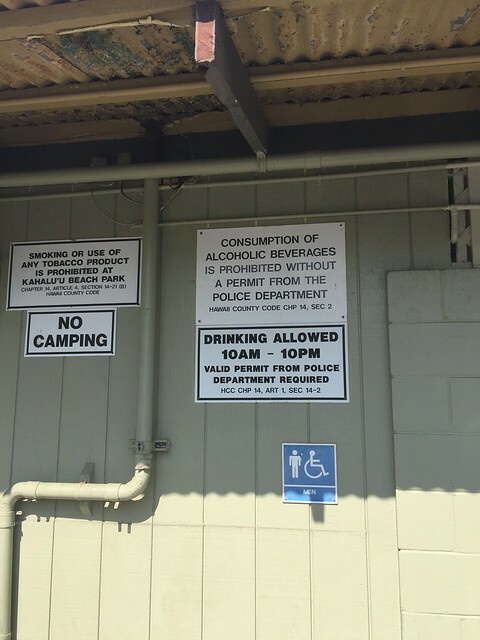 I took a picture of the fact that you have to get a permit to drink on the beach, so you need to think about it in advance. We were at Kahaluu Beach Park. Here are a million pictures, including turtles, yellow fish, girls in bikinis, and surfers. We didn't see any sea lions. My wife and I spent a few minutes touring the petroglyphs near where we stayed. 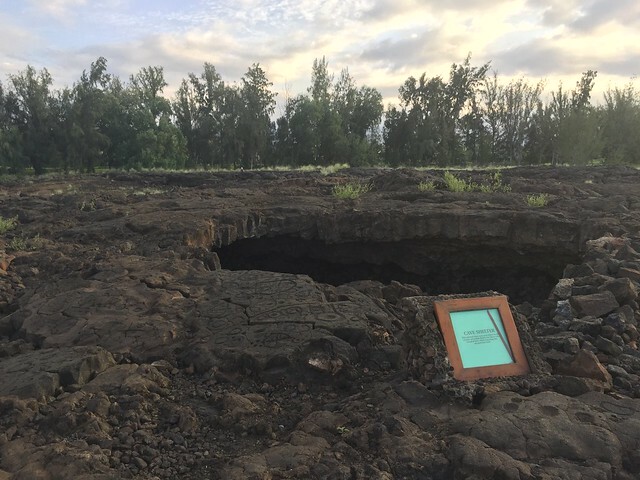 The idea of living in this hole in the ground, even if it was more of a roof at the time, is sort of frightening. At least the temperature is pleasant so it wasn't like you were freezing in there. Minnesotans tend to think about those things. 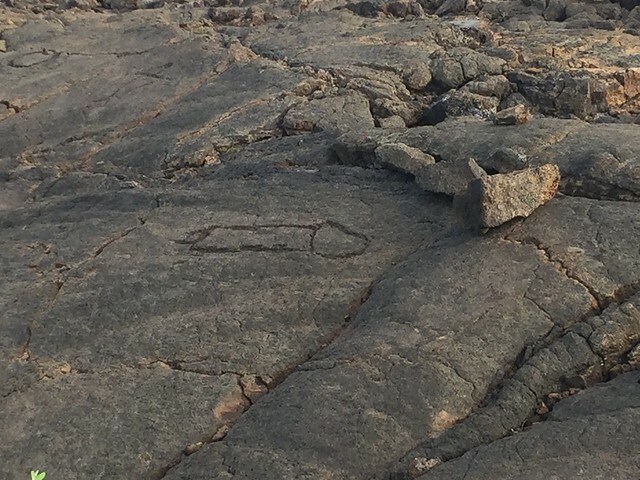 I think I know what this one means, and I suspect, although I can't be sure, that it isn't an ancient Hawaiian petroglyph. But I didn't try to date it scientifically.